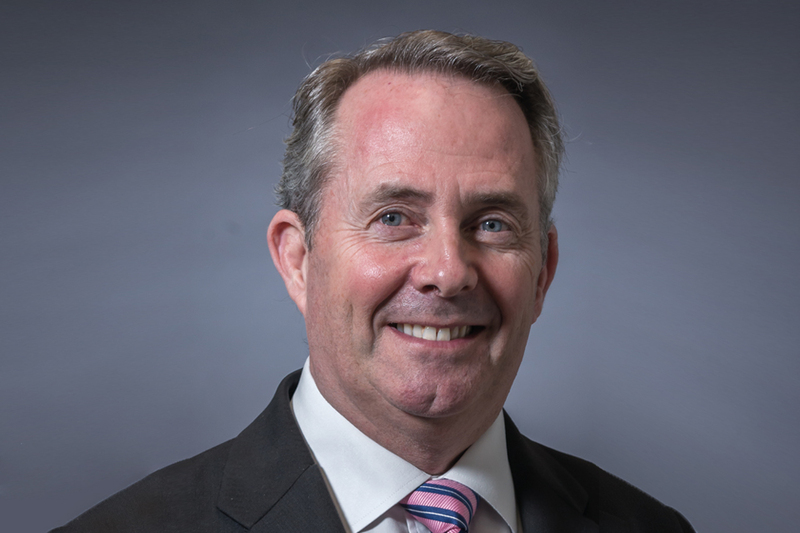 Speech by Dr Liam Fox Secretary of State for Defence. With their “UK and the World” programme, Robin Niblett and the Chatham House team are making a serious and welcome contribution to the discussion of British foreign and security policy. I welcome their robust conclusion that “a global role for the UK is …a necessity, not a luxury”. This accords closely with the view of this government, that Britain must help shape a changing world, rather than merely react to it. The Foreign Secretary set out at the beginning of this month the background to the distinctive Foreign Policy this government intends to pursue. The ‘Strategic defence and security review’ (SDSR) will set out how this will be pursued, including the capabilities we will need to protect our security. We are consulting widely with the armed forces and their families, civilians working in defence, our allies, the academic community and others. Details of how to contribute to this can be found on the MOD website. We undertake this review at a testing time. First, our armed forces are engaged in a vital struggle in Afghanistan to ensure that trans-national terrorists cannot find safe and unhindered sanctuary as they did there before 9/11. Today’s incident is a reminder of the risk taken, and sacrifice made, by our forces everyday in Afghanistan on our behalf. The murder of three brave troops by a rogue ANA officer was a despicable and cowardly act and my thoughts go out to the family and friends of those who have lost their lives. However, this will not affect our resolve to see the mission through in Afghanistan and to train the Afghan National Security Forces so they can one day takeover the security of their country so our forces can come home. Second, the national finances are severely constrained, particularly as we act to reduce the huge budget deficit left by the previous Government which threatens the health of our economy. Third, we face a sobering international environment in which geopolitical balances are shifting and where the risks to our national security are complex, diverse, and characterised by uncertainty. So we are seizing this opportunity to realign our defence and security capabilities with our foreign policy. It enables us to reset and revitalise relationships with our traditional allies and forge new relationships with emerging nations. And it offers us an opportunity to make a clean break from the mindset of Cold War politics and dispense with the conceptual and physical legacies that persist. But while we need to put the Cold War behind us, we should not forget the fundamental and timeless lessons that were applied during that long struggle and that are equally applicable in the 21st century. Let me pull out just three for the purposes of our discussions today. First, economic strength underpins the power and influence that we are able to exert on the world stage. Economic stability and prosperity in Britain is the top priority for the Government. It is at the heart of the Coalition agreement. Without economic strength we will be unable to sustain in the long-term the capabilities required, including military capabilities, to keep our citizens safe and maintain our influence on the world stage. Second, the legitimacy enjoyed by the West during the Cold War was in part a product of the developing rules-based international system. The alliances we formed, militarily through NATO, economically through the European Economic Community, and politically through the United Nations, played a key part in restraining, containing and ultimately defeating the Soviet Union. As an open trading nation, Britain’s future security and prosperity will be delivered primarily through maintaining a rules-based and stable international order in which there are significant constraints on the use of force. In facing this complex and unpredictable world therefore, it is in our national interest to build and strengthen international governance, not weaken it. But we must also recognise that today, the main threats and risks to our security come from failing states, non-state sources and other asymmetrical challenges. By definition these operate outside the international system and international law, arms smugglers, terrorists, warlords, pirates, international criminal gangs, and of course, worst of all the nuclear proliferators. We will need to work hard to retain a commitment from like minded states to support and if necessary defend the rules based system on which global security and prosperity depends. This will require the political will to invest our national power and prestige in international institutions, in strengthening international law, in maintaining our alliances and in forging new ones. The third lesson from the Cold War I want to raise today is an overarching one and it is this: warfare is not, and never has been, solely about the art of war-fighting. Success in warfare in its most expansive sense requires the application of all levers of power, diplomacy, development, economic strength, trade, cultural influence, and military capability - underpinned by intelligence and information to ensure they are used as effectively as possible. That is why we have brought together the three policy pillars of defence, diplomacy and development in our new National Security Council. Success in warfare also includes having national resilience and political determination to face down threats, to accept the risks to life and limb that that entails, and to have the self-belief, patience and determination to stay the course. We all know, there is no such thing as a risk free war, a casualty free war or a fatality free war. Our Armed Forces accept that - yet they volunteer for the task, that is what makes them truly special. And success means using our power to prevent or dissuade our adversaries from acting against our interests in the first place - which we define as deterrence, or if they do act against our interest to force them to change their behaviour - which is more properly called coercion. The concept of deterrence is as old as warfare itself and is far broader than just nuclear deterrence with which the concept came to be linked during the Cold War. At its most fundamental level, deterrence works by dissuading an opponent from taking action because of the fear that subsequent retaliation will be of sufficient scale as to outweigh any benefits that might have come from the initial action. A broad deterrence posture, particularly conventional deterrence, has not outlived its usefulness with the end of the Cold War, but we must update our understanding and bring our concept of deterrence into the 21st Century. When we talk about deterrence we need of course to place it within a continuum of escalating posture and action which necessarily requires action from across government. Prevention, deterrence, coercion, intervention and stabilisation. At one end is conflict prevention, using all the levers of power short of force - aid, trade, diplomacy and sanctions among others. Defence contributes significantly to this process. We must not forget the utility of defence diplomacy in building up understanding and reassurance. For instance undertaking training and exercises with our partners demonstrates our capabilities and forges trust. And let us not forget the enduring links that defence exports can bring. An essential aim of the new government is to support and enhance Britain’s defence exports. Further along the spectrum we move from deterrence, through containment to coercion, the threat of the use of force and ultimately forceful intervention where necessary and stabilisation to prevent a recurrence of the threat. Of course this continuum is not linear, in dealing with crisis situations we many need to apply different measures at the same time with positive inducement aligned to negative consequence. Let me be clear: We must be prepared to defeat threats if necessary when deterrence and containment have not succeeded. We must have a war-fighting edge. As we used to say in my old profession, while prevention is better than cure, cure is a lot better than letting a virulent infection spread. In my view, the benefits we get from being a permanent member of the UN Security Council, from being a lead nation in NATO, in the EU, in the Commonwealth and from membership of other international institutions such as the G8, means we have a responsibility to contribute fully to enforcing the will of the international community. We must stand ready to do just that. These are tough economic times, but whatever the specific outcomes of the SDSR, I am determined to ensure the UK retains robust and well equipped Armed Forces capable of intervening abroad where necessary to protect our security and interests at home. Deterrence seeks to avoid conflict. It therefore has inherent legitimacy. It is about setting boundaries for action and communicating the risks associated with crossing them. This is primarily about influencing the perceptions and calculations of our adversaries. It may be invisible, we may not always know an opponent has been deterred from damaging our interests because he calculates our response would outweigh his gains. In some cases precision about consequences will be necessary; in others ambiguity may be required. But in all cases, our military capability, combined with those of our allies, will be part of the calculation of those we wish to deter or contain. The costs of deterring conflict will invariably be less than those of direct intervention at scale or the wider price we may pay when conflict destabilises a region. So deterrence is also cost effective. But that does not mean it is cheap or easy. Deterrence only carries weight if our adversaries understand that we have the credible capability to intervene and crucially the political will to carry it through. From a military point of view no other means can provide greater conventional deterrence than the capacity, either independently or with allies, to project credible land, air and maritime power with considerable geographic reach. That would mean, when the national interest demands, maritime-enabled power projection, the capacity to control air-space to guarantee freedom of manoeuvre and the ability to deploy land power with the logistical strength to sustain it. And just let me be clear, the capability to deploy land forces provides an unambiguous signal that the UK and our allies are prepared to meet threats to our interests and security that lie beyond the reach of maritime or air-power. Maintaining capable armed forces with the credibility to project and sustain combat power is expensive, but it provides nevertheless the bedrock for general deterrence as a clear sign of a commitment to guard our interests. But the UK will rarely require, or indeed be able to afford, the conventional power to deter every threat to our national security by acting in isolation. For the last three hundred years the UK has consistently pursued national security through building international coalitions, from the days of the Duke of Marlborough to the Cold War. Splendid isolation may have an attractive ring for some, but we know it does not work. A defence policy that invests considerable weight in deterrence needs to be bound to an international framework, formal alliances and bilateral partnerships that allow us to use diplomatic, economic and military levers of power in combination with others. The UK’s capacity to build coalitions, to form and maintain alliances, and importantly, to encourage forward engagement, would be the lynchpin of an effective deterrence posture. NATO has long sustained a credible general deterrence against state threats. And while the direct threat to UK territory is low, we cannot rule out the re-emergence in future of a state-led threat to our homeland, or more likely, to our allies. This risk is mitigated through our membership of NATO’s collective defence. The transatlantic alliance is the UK’s most important strategic relationship and NATO will remain the UK’s instrument of first choice for collective security challenges, and the cornerstone of our defence. But that also means that we need a rational approach to our contribution both to Article 5 commitments and to NATO missions out of area - and that has consequences when reforming our Armed Forces in the SDSR. For example, we need to think carefully if, and if so where, it is necessary to duplicate in quantity capabilities held in large numbers by our NATO allies, and relate that to the need to defend our overseas territories which are not covered by NATO guarantees. But in today’s world, threats to our national interest from state proxies, non-state actors or those emanating from ungoverned space have the highest likelihood. These are less susceptible to traditional concepts of deterrence; in fact they demand an updated concept of deterrence. For instance, to terrorists who seek martyrdom and do not value their own lives, or the lives of civilians, the general use of force may not be a deterrent, in fact it may be exactly what they are seeking. Instead, we have to demonstrate that our response to attacks is measured, will reduce their ability to operate and take them further from their goal. That may mean depriving terrorist groups of space to operate or deny them their support network. It might mean concerted action to undermine their finances. Or it might mean diplomatic action. The best possible insight and understanding, based on good information and intelligence are required to judge what action would be most successful, including when the use of force would be appropriate. None of this is easy, but we will only have any hope of being effective if we retain effective capabilities, strong intelligence and united international political will. We must show resolve because this acts as a deterrent to people who may otherwise be drawn to the same methods. We must show that we refuse to be terrorised. We must show that we are resilient in the face of attack. This is the responsibility of all of us, not only those of us in government. Terrorists threaten whole societies, and we all, government, public, media, business, must defend our freedoms and our way of life. So deterring some 21st century threats most definitely requires the comprehensive approach, cross-cutting, cross-government, multi-disciplined and multi-pronged. Our Defence policy will need to be better integrated with all the levers of national power and influence, and our Armed Forces will need to have an improved ability to operate side by side with civilian agencies in a conflict zone, just as they are doing today in Afghanistan. Deterrence in the 21st century will require our armed forces, in alliance with others, to provide the capacity for a broad and flexible spectrum of possible responses, adopting postures and capabilities that will be relevant in deterring and, if necessary, dealing with both state and non-state threats. This means they will need to be more agile and more adaptable. More mobile strategically, operationally and tactically. And better integrated across land, sea and air with improved access to intelligence, surveillance, and reconnaissance technology, informed by critical situational awareness on the ground. The ability to deploy special forces will be very essential. Such a posture would provide decision makers with as wide a range of options for deterring, containing or dealing with a threat - up to and including the use of force. The nuclear deterrent is of course fundamental to our ability to deter the most destructive forms of aggression. This government played a strong role in the Nuclear Non-Proliferation Treaty Review Conference and will continue to press for continued progress on multilateral disarmament. But in an unpredictable world where we cannot see very far into the future, where nuclear weapons will not be dis-invented, where we are seeing wider proliferation, this government will not take a gamble with the country’s future. The coalition agreement is clear. The current policy of maintaining the UK’s essential minimum deterrent remains unchanged. Yes, I accept the capital costs of the successor programme are likely to be up to £20 billion spread over the next decade or so. But that seems to me to be pretty good value when compared with the amount spent every year by Government - over £650 billion annually. Where we can reduce the costs of the current policy we will. That is why we have agreed the renewal of Trident should be scrutinised to ensure value for money. That work is being undertaken and is looking at whether this policy can be met while reducing the cost of the successor submarine and ballistic missile systems, including by shifting the balance between financial savings and operational risk. This work will cover the programme timetable; submarine numbers; numbers of missiles, missile tubes and warheads; infrastructure and other support costs; and the industrial supply chain. It is important also to consider the role of NATO in the context of nuclear deterrence. As I mentioned during my last speech here at Chatham House last December, NATO remains an alliance with a “nuclear culture” that should be reflected explicitly in the upcoming strategic concept. Ladies and gentlemen, the SDSR will be watched closely by our adversaries and allies alike. We must make sure that the signals we send are not perceived as a diminution of our commitment to engagement in world affairs, nor as curtailing our ability to respond to the threats we face. So where we can deter we will, where we cannot deter we will contain, where we cannot contain, we will deploy force and seek to defeat the threat. What we will not do is place at risk the British people, our interests, or our allies. We will not bend to the will of those who threaten our values, our liberty or our way of life. Our opponents need to be convinced that we have the political will to oppose them, the support of our people and the means to follow through. We would put this country at risk if we did not make every effort to make deterrence credible, on all counts. That means updating our concepts, as well as our capabilities. A stable international order and security of the global commons is essential if our interests are to prosper. For freedom of action to defend our interests, we depend on the legitimacy we have as a positive and active member of the international community. The starting point for Britain to exercise that power and fulfil that responsibility is through a strong international system, a strong alliance structure, a strong economy and ultimately strong defence.